Quirky accommodation for an unforgettable holiday! Do you enjoy the campsite atmosphere but want to be comfortable? Then you’ll love glamping! You can be at one with nature, in luxury accommodation. 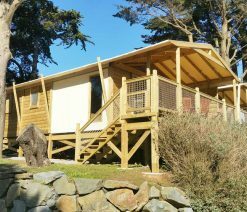 Why not try a lodge with sea views, which is sure to meet all your needs. 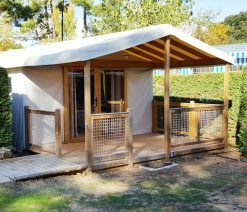 The Eleovic campsite and caravan park is located on the Pointe St Gildas, 10km from Pornic in the Loire Atlantique. From this preserved wild coastline, the view over the ocean is magnificent, and we have everything you need for a great holiday – a mild and pleasant climate, clean seas and direct access to the beach. 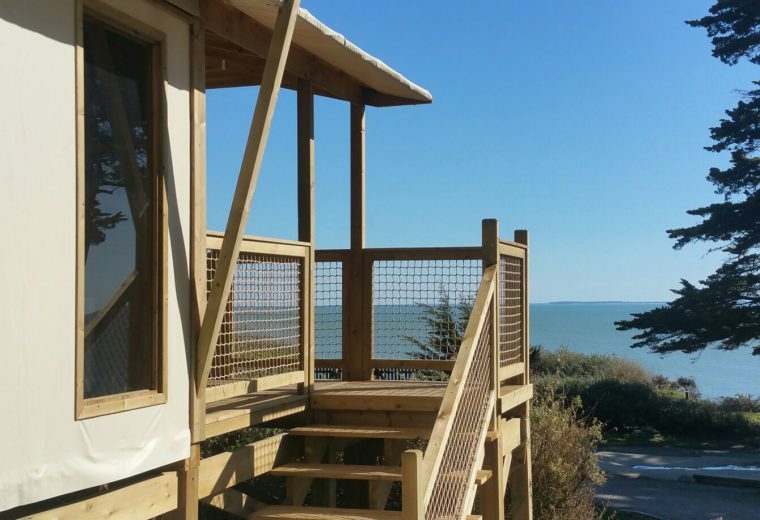 This 4-star campsite is providing a new type of quirky accommodation – lodges on stilts, with views over the sea. This type of accommodation is similar to glamping. [Je ne traduis pas, parce que c’est évident pour un anglophone] These outdoor holidays combine both comfort, respect for the environment and getting outdoors. 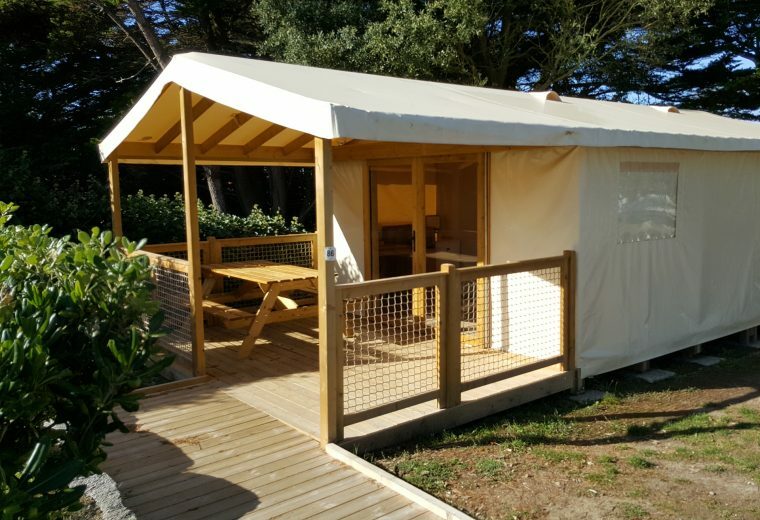 Glamping is ideal for a demanding clientèle who like something a bit different, but still like their home comforts. 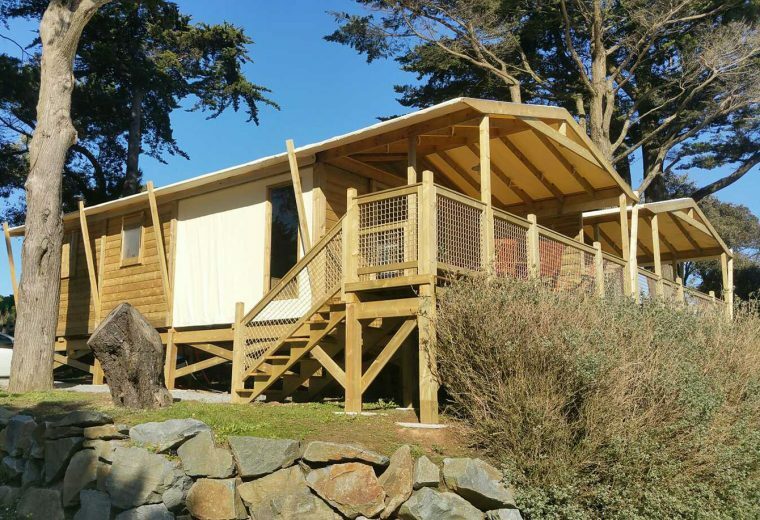 Therefore, Eleovic Campsite has built lodges on stilts, providing a view of the sea to ensure charming holidays in a magnificent location. The joy of glamping is being able to sleep outdoors, but comfortably. It’s a new spin on camping, with personalised, high-quality services. If you’re looking for authenticity, why not rent a lodge at Eleovic Campsite? Our lodges on stilts enjoy breath-taking ocean views from the 10m² terrace, garden furniture included. Inside the wooden lodge is a functional apartment for 5 people, including a furnished living/dining room with kitchenette, two bedrooms and washing facilities (shower, sink, toilet). All rooms are have central heating. You and your family will love this original way of living.